I’ve been asked why ‘Words on a wing – a lost and found for people on the edge of the night’. 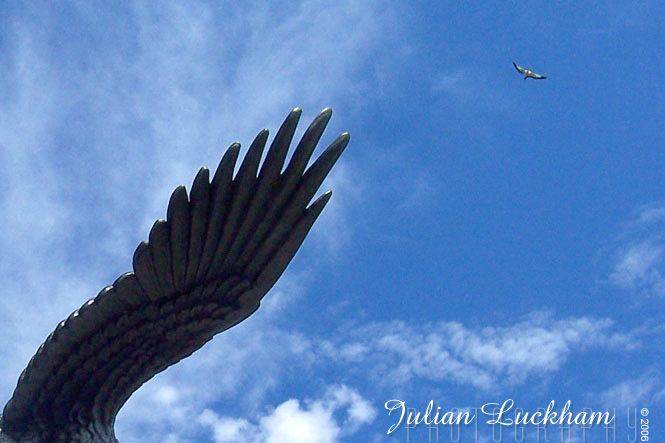 Well…originally it was just a combination of song lyrics, thoughts and ideas… but has since evolved in to more and has even become a bit of an analogy… “I wear my heart upon my sleeve like… Words on a wing” – Julian. The name was inspired by lyrics from David Bowie’s songs Word on a Wing (1976) and Under Pressure (1981), and is meant to indicate that my writings here are just thoughts or ideas that I’m putting out there, words on a wing if you will, in the hopes that they may be found by those that care for the people on the edge of the night. And as Bowie infers in Word on a Wing, my thoughts might not fit in with your thoughts, but we can still share our thoughts, and our worlds can coexist. As for the lost and found, when I was just writing for myself, I would sometimes lose something I had written, so by posting to a blog I knew I’d always be able to find it again. Someone told me once that they lost them self in my world… yet I had thought that we both found a new self in each other? Someone else told me that they had come up with an idea after talking to me that they later lost, and by coming upon a poem I wrote and posted here, they found that idea again, so it really is a bit of a lost and found. By referring to people on the edge of the night, I don’t necessarily mean the nocturnal among us, though I sometimes include myself in that category, I mean people who tend to think of themselves on the periphery, a category I definitely include myself in, along with most creative types. And that edge could also mean people in transition… transition of thought, mind or merely time… time heals and time changes… everything! Lyrics are always open to interpretation, but I read this to say that one can find a way to fit in without losing yourself, by caring for yourself in a way that doesn’t make you out to be greater than any one person… our worlds can fit together and we can find new selfs in each other! Hmmm, didn’t I just say that? And for further meaning, the photo in the banner for Words on a wing is one I took of The Ottawa Memorial, that commemorates those that served in the Air Force and lost their lives, and have no known grave. Lost, yet found! Note in the photo what I believe to be an Eagle circling overhead. Tomorrow is David Bowie’s birthday, so why not take a moment to listen to the songs that have inspired me and see if you can catch all that inspiration, and be sure to check the lost and found, and lastly… I dare you to care, for the people on the edge of the night.